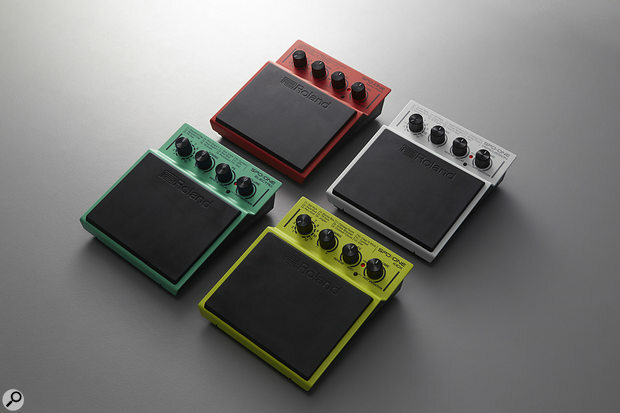 If you’ve ever fancied yourself as a table drummer, then Roland’s new SPD::One series of compact electronic percussion pads will be very much up your street. The new series of single-pad devices can be played with drumsticks, hands or feet and employ Roland’s leading digital percussion technology. 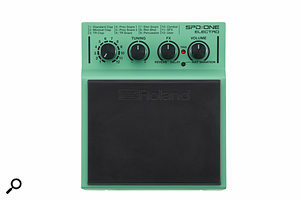 The SPD::One Electro features electronic snare and hand clap sounds from the 808 and 909 drum machines.We’ve all seen Roland’s V-Drums, the SPD-SX Sampling Pad and Octapad SPD-30 on stages but unless you’re a pretty serious drummer or percussionist, an upgrade to one of these systems can seem difficult to justify, especially considering their professional pricetags. Enter, the new SPD:One series which is designed to be accessible for guitarists, singers, DJs and producers, as well as the original SPD audience. All four models feature USB-MIDI for recording impromptu rhythms and triggering sounds, and can run on either batteries or AC power. They can also be used on a tabletop or floor, or clamped to a drum or mic stand using the included mounting hardware. 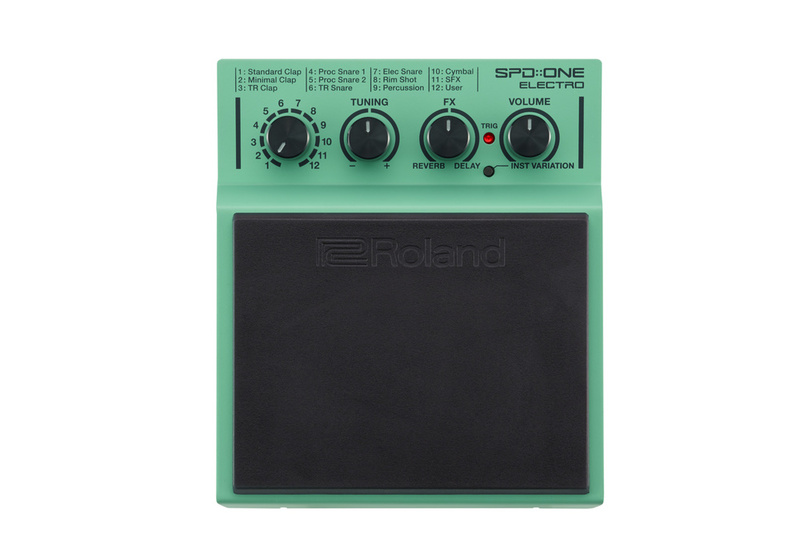 The first model, the SPD::One Electro sports a variety of electronic percussion sounds, including snare and handclaps from Roland’s iconic TR drum machines. The SPD::One Percussion is pre-installed with a wide variety of acoustic percussion sounds, such as shaker, tambourine, gong and timpani. Although it has the same housing as the other models, the SPD::One Kick features sounds that are optimised for foot triggering, including bass drums, stomp boxes, percussion, and more. Each of the aforementioned three pads comes with built-in effects, and offers the ability to import user WAV samples up to five seconds long via USB. The SPD::One WAV Pad is a slightly different prospect. Instead of coming with pre-loaded sounds, it is equipped with 4 GB of flash memory, enabling users to load their own custom WAV files via USB. With 12 memory locations and up to 360 minutes of stereo audio time available, the SPD::One WAV Pad can be loaded with everything from short one-shot samples and looped phrases to full-length backing tracks. Another useful feature is the ability for users to load click tracks to accompany their backing tracks, and to output them to the headphones output only for monitoring purposes. The SPD::One series will be available in late Summer with a price of $249 for the WAV Pad, and $199 each for the other three models.